Let’s take a look at all those qualities and a few more that demonstrate what it takes to be the best go kart under 1000 dollars. Go karts can be fun, but they can get a little expensive. Fortunately, there are some great models out there that are available for under four figures. Figuring out which karts are the best, though, requires guidance. Before buying one, you should research how well the kart runs, how well it holds up to being driven, and whether or not it is fun to drive. The first entry on our list is a gas kart, which might be surprising for go-kart fans. Gas karts tend to cost more because they’re more durable and can go significantly faster. And indeed, durability and speed are two hot features that make this Scooter X model stand out. Capable of hitting over thirty miles per hour with most drivers, this model is fun to drive and won’t break the bank. 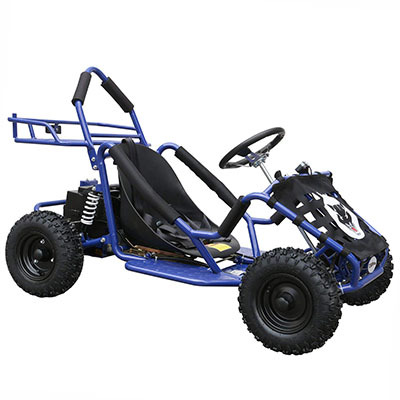 Stable and sturdy, most drivers point to this kart as an example of the best go kart you can buy for under 1000 dollars. When you’re looking for the best go kart under 1000 dollars, you may notice that most of what you will find will be electric. Though electric karts are a bit slower, they are less expensive and easier on new drivers. The JC Moto Electric definitely lives up to these expectations, offering an easy drive to most kart drivers. One of this model’s top features is the drive time on a single charge, which is far longer than most electric karts’. If you’re looking for a kart that will allow you to have fun on and off the track without draining your bank account, the JC Moto Electric is a good place to start. TaoTao is fairly well known in go-kart circles. 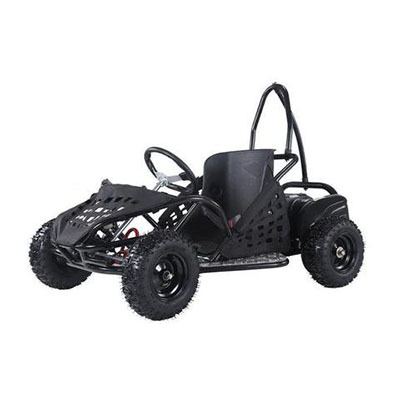 Nonetheless, it’s surprising to see a model from this company that can qualify as the best go kart under 1000. 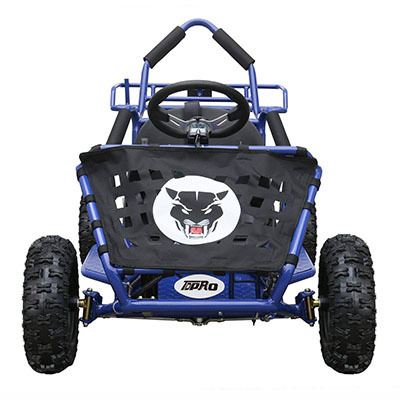 Even though it specializes in karts that cost a bit more, Tao Tao has made a solid budget model. Though TaoTao EK800 doesn’t have the range of other similar models, it is both safe and easy to drive. Honestly, the only thing that keeps this kart from being the best of the best is the relatively short battery life. If you’re looking for a good beginner kart or just want something zippy for a child, this might be the best kart for you. No, your eyes aren’t playing tricks on you – this is largely the same kart from JC Moto. In fact, the only thing that differentiate the two is that this one comes with expert assembly. While this might slightly push the price up, it’s definitely a factor that is worth considering. 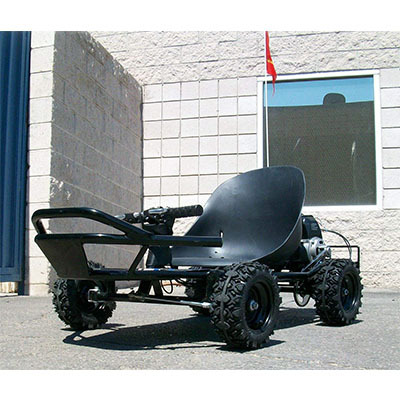 When choosing the best go kart under 1000 dollars looking for the best features is a good way to go, but it’s even better if you don’t have to do all the heavy lifting yourself. Choose this kart if you’re looking to get on the track without first getting your hands dirty. Coleman Powersports makes many great off-road vehicles. But the company really shines with its go karts. 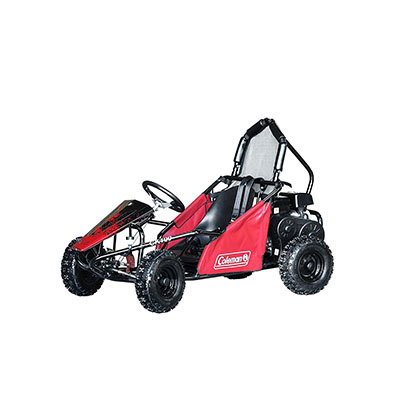 Easy to drive and maintain, Coleman Powersports karts are the cream of the crop. The fact that a model under one thousand dollars exists is nothing short of miraculous, especially considering how well this one drives. If you’re looking for a solid gas go kart that will keep running for years to come, this is the kart for you. Though it’s not as fast as other models, this kart provides a fantastic driving experience while literally and figuratively leaving behind almost every other kart in its class in a thick cloud of dust. Go kart maintenance is a very important part of being a responsible owner of such a vehicle. You’ll need to perform a few basic types of maintenance every time you take the kart out, as well as a few significant types of maintenance at least once a season. The more thorough you are with your routine, the longer the kart will last. As a rule, make sure that you’re always looking for wear and tear on parts. Keep every moving part lubricated and debris away from the kart as much as possible. Check your air and oil filters regularly and always keep spare oil close at hand. If a part looks like it’s about to break or crack, it probably is – replacing that part can prevent catastrophic damage. Any of these five karts can qualify as the best go kart under 1000 dollars. They’re well-made, quick, and a lot of fun to drive – all the qualities you want in a kart no matter what the price. If you’ve driven any of these karts or if you know of another kart that should be put on this list, we want to hear from you. Let your opinion be known by getting in touch with us today.